The state of Washington recently held their 65th Annual Governor’s Industrial Safety and Health Conference. The conference was great. Congrats and thanks to the organizers and staff for putting together a great event, and of course kudos, props, and high-fives to all the attendees, exhibitors, and presenters (and to anyone else involved that if I’ve mistakenly left anyone out). And a hat-tip to Spokane–a lovely city with a beautiful waterfront–thanks for dialing up the fantastic weather! I was there and I gave a short presentation on effective environment, health, and safety (EHS) training. Thanks to the folks who attended my presentation. I said I’d write a quick blog post where people can download some free, related materials–primarily a free 60-page Guide to Effective EHS Training, based on the newly revised ANSI Z490.1 (2016), the national standard for Accepted Criteria in Safety, Health, and Environmental Training. And that’s what this blog post is all about. So thanks again to everyone, hope to see you again at a future conference, let me know if you’ve got any questions, and click the MORE button below to get your freebies and additional resources. 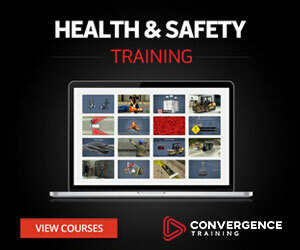 Convergence Training is a training solutions provider with a long history of creating EHS training solutions. Want to quickly review some of what we covered in the presentation? Here’s a free, recorded, on-demand webinar about Effective EHS Training (30 minutes long). Click this link to download our Free Guide to Effective EHS Training. You can also download it by clicking the large button at the bottom of this page. I took the PowerPoint Presentation that I projected in front of the class and the hands-on practice worksheet that attendees used during the training (that also included a reminder of the key points) and merged them together into one PDF. 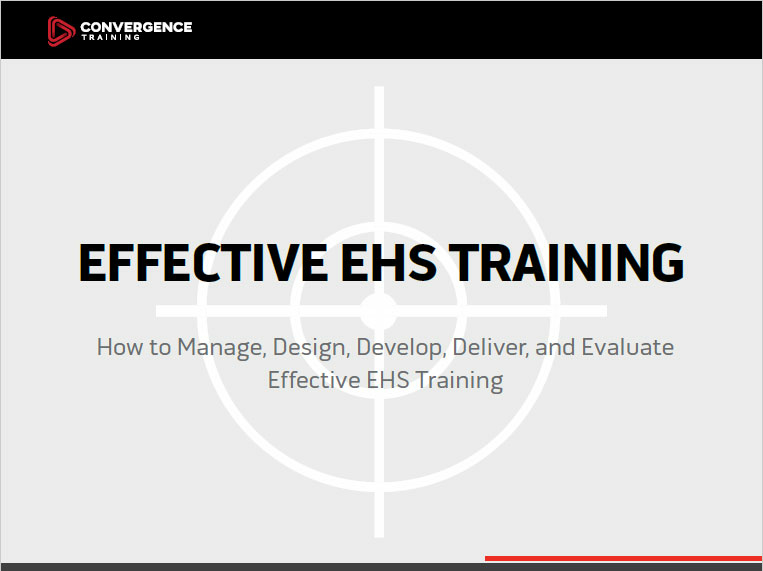 You can download that Effective EHS Training Presentation and Worksheet PDF here. The Guide to Effective EHS Training includes links to a lot of additional materials, but we’re also going to include a large number of those links immediately below. And if you scroll to the very bottom of this article, you can click a button to download that free guide. Thanks again to everyone, and let me know if you’ve got questions, comments, suggestions, or anything else. If you’re the curious sort, and/or want to dig deeper into the information the webinar introduced, we’ve got some helpful materials below. Or just click the Chat feature on your screen to say hi or ask a question…if I’m at my desk, I’ll get right back at ya.